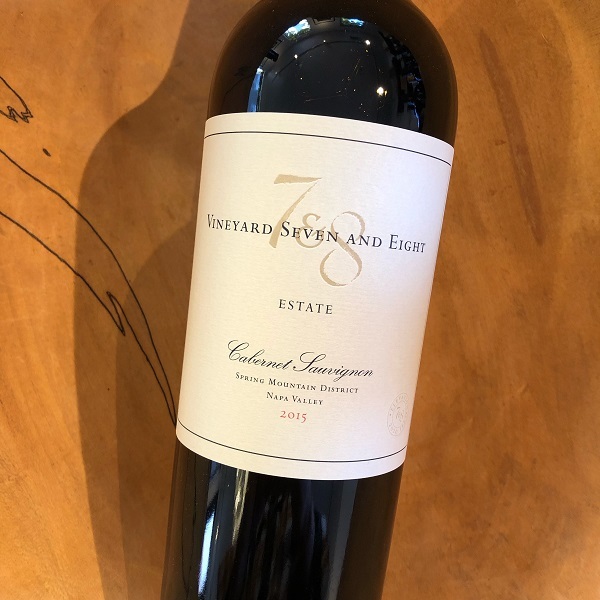 The 2015 Estate Cabernet Sauvignon marks the second vintage with renowned winemaker Martha McClellan directing the Vineyard 7&8 winemaking team. Vintner Wes Steffens goal and focus upon her arrival was focused on preserving freshness and aromatics, bringing increased length and texture to the wines, all while maintaining the tension and integrity that comes with Cabernet crafted on Spring Mountain. About a third of this wine was fermented whole berry in new French oak barrels, a process that brought incredible complexity to their wines. “The 2015 Estate Cabernet Sauvignon expresses all that we love and appreciate in premium mountain grown wines. Showing a purity and freshness of fruit, complemented with a beautiful tension, a rich and creamy texture, ending with a long seamless finish. Like the 2014, nearly forty percent of the wine that comprises this blend was fermented whole berry in new French Oak barrels. We continue to see the increased and focused aromatics, rich texture, and harmonious tannin integration. This wine will show beautiful upon release yet continue to show its beauty for many years to come.” – Wes Steffens.